The Paris Agreement sets a goal to limit warming well below 2°C with an effort to limit warming to no more than 1.5°C. 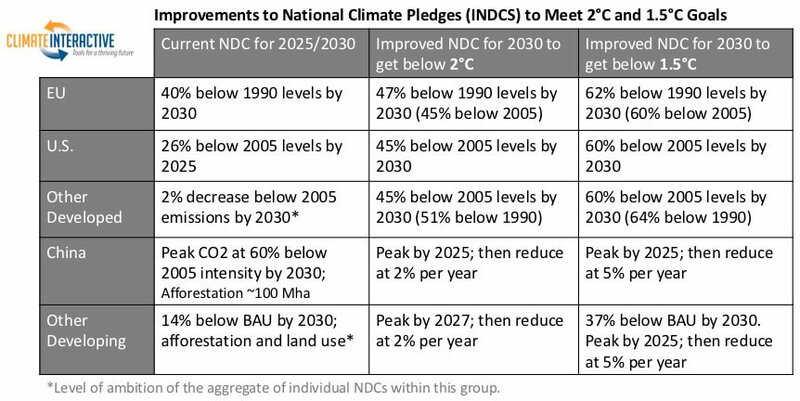 However, full implementation of the current pledges, as of April 20, 2016, would result in expected warming by 2100 of 3.5°C (6.3°F). Deeper, earlier emissions cuts are needed to limit warming well below 2°C. The Paris Agreement provides a mechanism for the nations of the world to increase their commitments and submit stronger pledges by 2020. 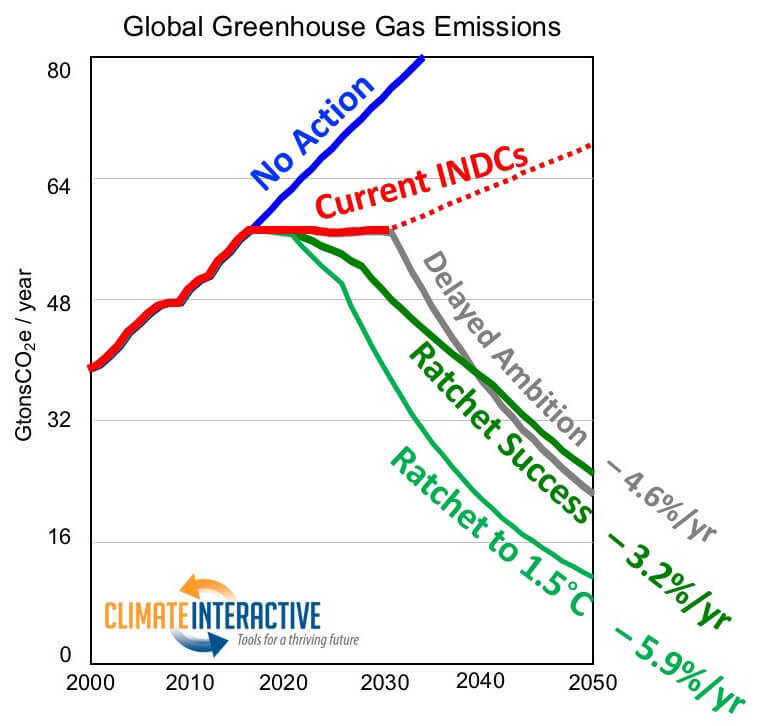 Climate Interactive’s analysis here shows what this could mean.